Amassed over a period of thirty years, London to St Ives: A Journey Through British Art perfectly encapsulates a moment in the history of art where our native avant-garde wrestled with the traumas of the post-war period. Including many never-before-seen-at-auction works, the paintings, prints and sculptures featured within the sale trace a dialogue between the realism and human focus of London and abstraction and landscape in the small fishing village of St Ives. Viewed together, they exude a deep appreciation for the finest examples of British creativity and tells the story of Britain's cultural history. 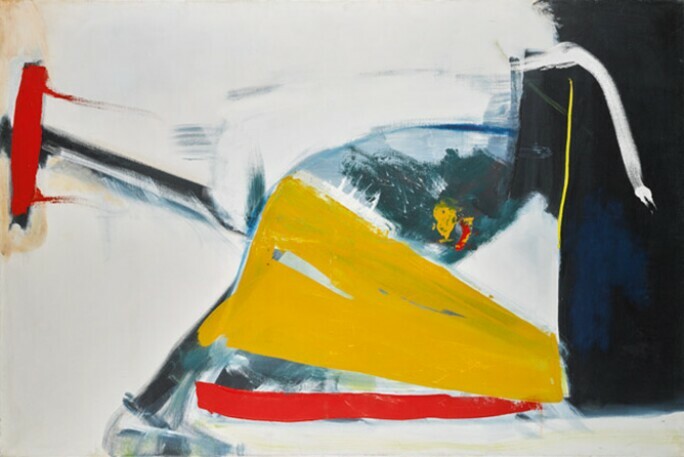 PETER LANYON, FLY AWAY, 1961. In mid-century Britain, London – bomb-ravaged and starving but still the capital city of a global empire – had a serious rival in a small fishing village at the westernmost tip of the country. It is perhaps impossible to say which was the true centre of avant-garde art. In both London and Cornwall, artists wrestled with the question posed by German philosopher Adorno – how could one write poetry after the horrors of Auschwitz? For London-based artists such as Frank Auerbach, Lucian Freud and Reg Butler this resulted in an intense and forensic re-examination of the human figure and human relationships. JOHN BRATBY, R.A., STILL LIFE WITH ORANGES, 1954. 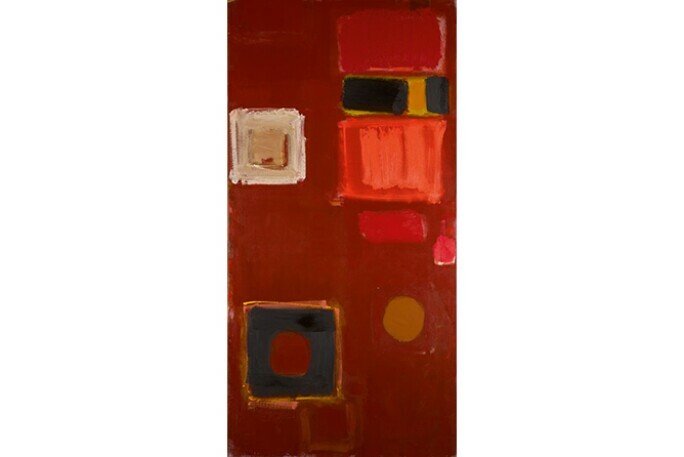 In St Ives, on the other hand, artists such as Patrick Heron, Peter Lanyon and Terry Frost turned to abstraction – Modernism's attempt to filter out much of modernity – in a search for the eternal, ineffable and universal rooted in an ancient landscape untroubled by man. PATRICK HERON, TALL BROWN: JUNE 1959. Taking a closer look at the artists in the sale, it is evident that the war had a direct impact on their lives: Peter Lanyon, the RAF mechanic; artilleryman Alan Davie and tank trooper Alexander Mackenzie; Terry Frost and Roger Hilton, the commando prisoners of war; Reg Butler, the conscientious objector and architect-turned-blacksmith; merchant seaman Lucian Freud and child refugee Frank Auerbach; Michael Kidner, demobilised from the Canadian Signals corps at the age of twenty-nine. 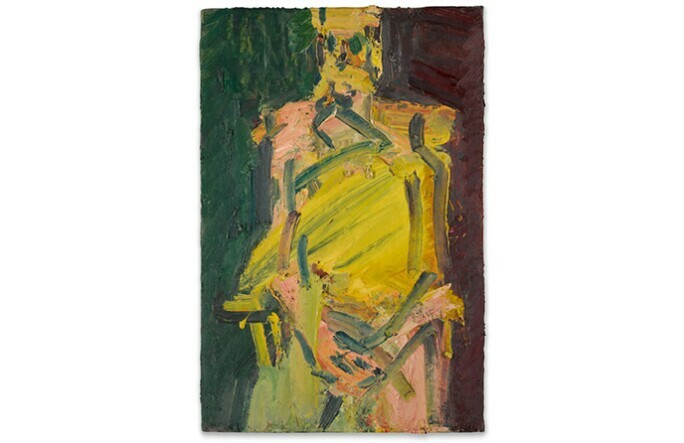 FRANK AUERBACH, JAKE SEATED, 2000. 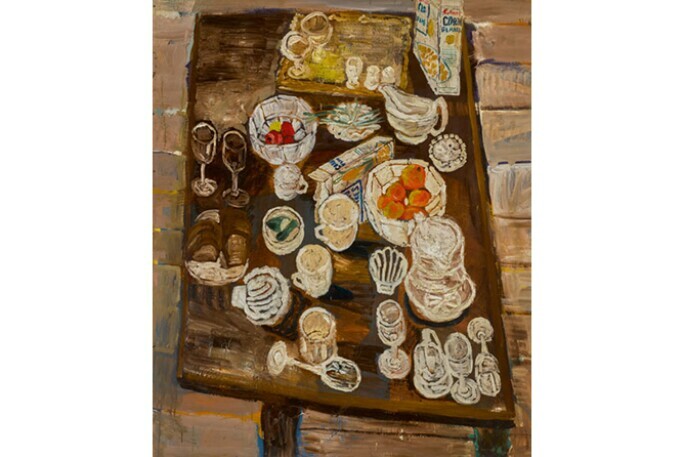 London to St Ives: A Journey Through British Art brings together a body of works created in Britain over this past-changing period, and to celebrate the sale please join us for a gallery talk by renowned art historian Michael Bird on Sunday 11th June. To reserve your place please email britart@sothebys.com or telephone 0207 293 6424.